The “Mundane” commute to the office in the ’40 coupe. Heck, it gets better gas mileage than my late model, and is way more fun to drive! I’m laughing to myself, this morning, because sometimes I am good at posting stuff on a regular basis, and sometimes I disappear for long intervals, apparently without much activity going on. Quite the contrary. 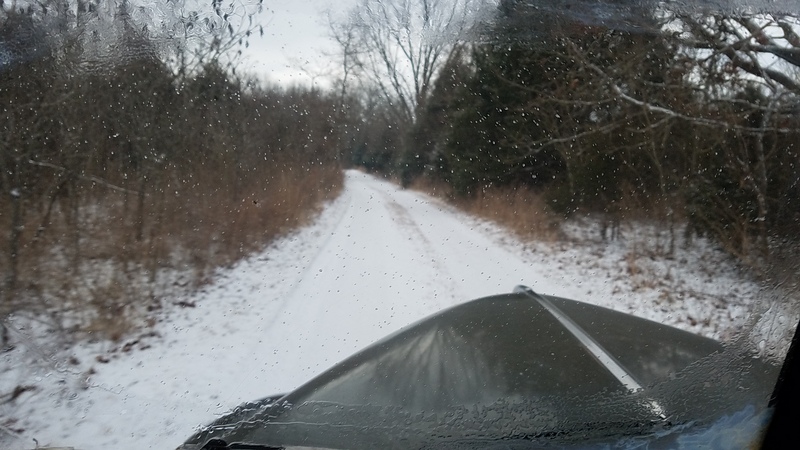 Last year, I wound up driving one of the ’40s each day for 313/365 of 2017, and so far, 64/79 for 2018. I just quit taking a lot of pictures, and really didn’t feel compelled to post stuff, at least worthy of being on the website. 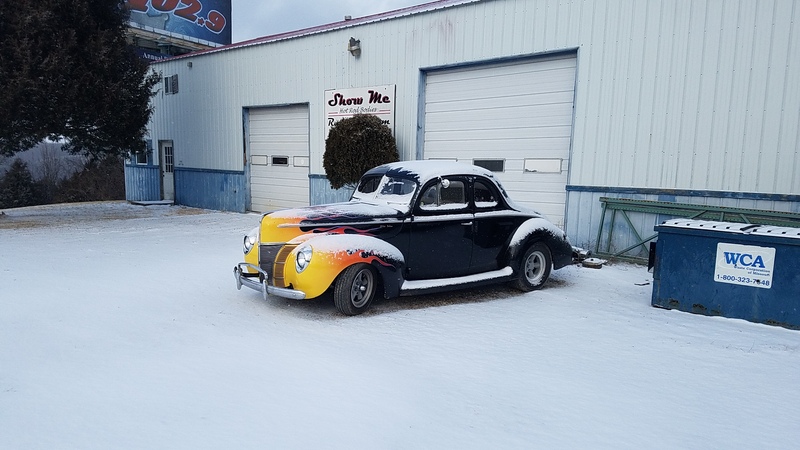 During the last year, I think I had posed the question to the guys in the CrossMembersCC, if it was possible to drive your hot rod so much that it takes away the “specialness” of doing so. Even though I have spent countless hours, and somewhere in excess of 20,000 miles, during 2017, between the two of them, it’s still a thrill to hop behind the wheel of one of the ’40 Fords. 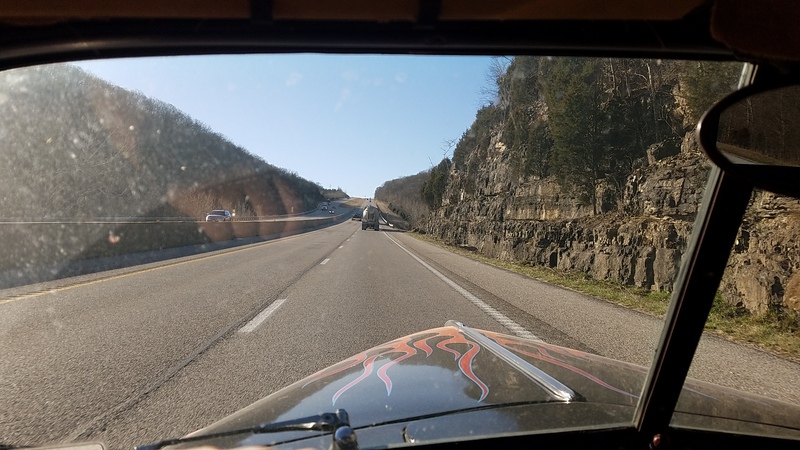 A couple of weeks ago, I posted a brief summary of some conversations that happened while filling the coupe with gas, on Facebook. My friend, Richard Robertson replied with the below quote. I took it as a HUGE compliment, and laughed to myself, as he summarized that whole thought of my question about taking away the “specialness”. So…if nothing else, I hope that others are inspired to get out and “Drive ’em”. When you do, engage with the folks when they ask questions about your hot rod. Offer to take their picture sitting in it. Don’t get offended if they say that their grandpa had one just like it, except for it was a (insert any year and manufacturer other than what you have). Take the opportunity to educate the folks who don’t know about old cars. 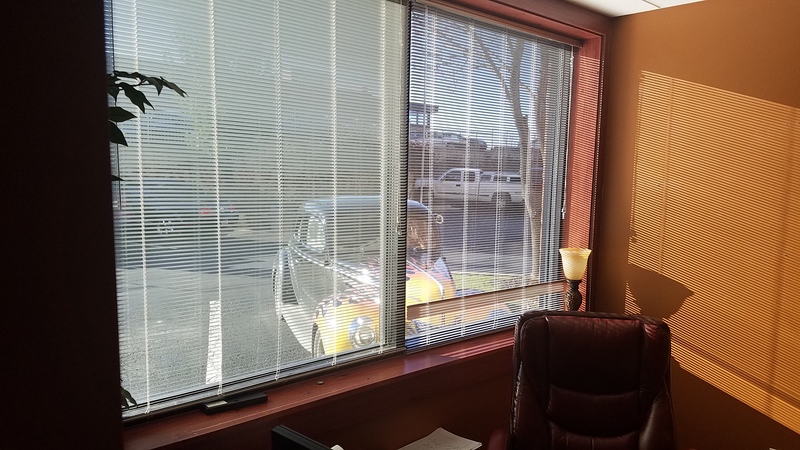 A shot out of the window, seeing my filthy ’40 staring back at me. 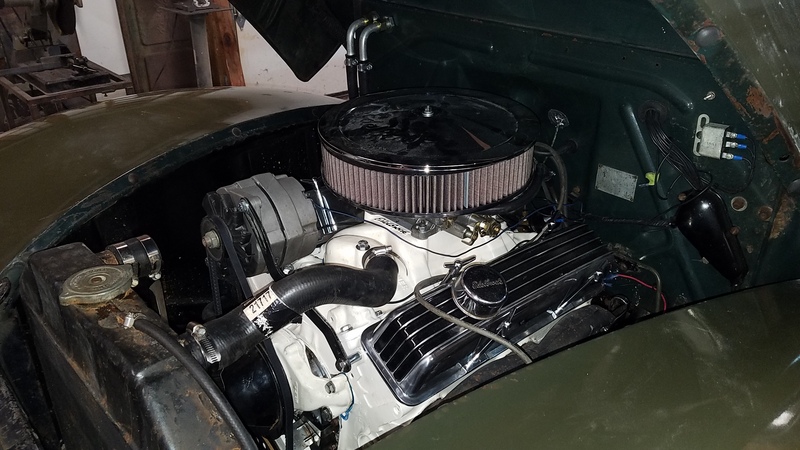 Superbowl Sunday, 2018, caught me a little offguard, while finishing up the final engine swap into the ’40 stake truck. Griff’s C.A.M. Shop rebuilt the rod knocking 350, and we had just fired it and set the timing. 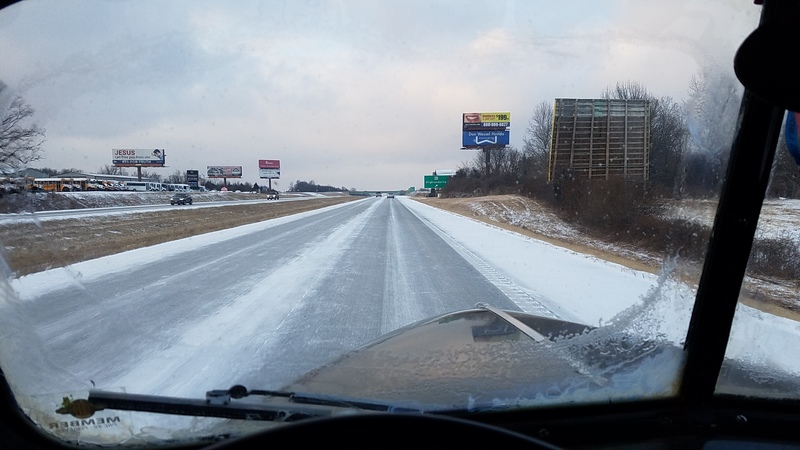 After getting a call, advising me that the highways were covered with ice, I decided that the stake truck would be easier to drive home than the coupe, since the coupe’s clutch is a bit touchy, and I had larger contact patches on the tires on the truck. The drive home was quite an adventure, to say the least. I spotted at least a dozen cars in ditches, and several folks stuck on an entrance ramp to the highway. Top speed, approximately 35 MPH. 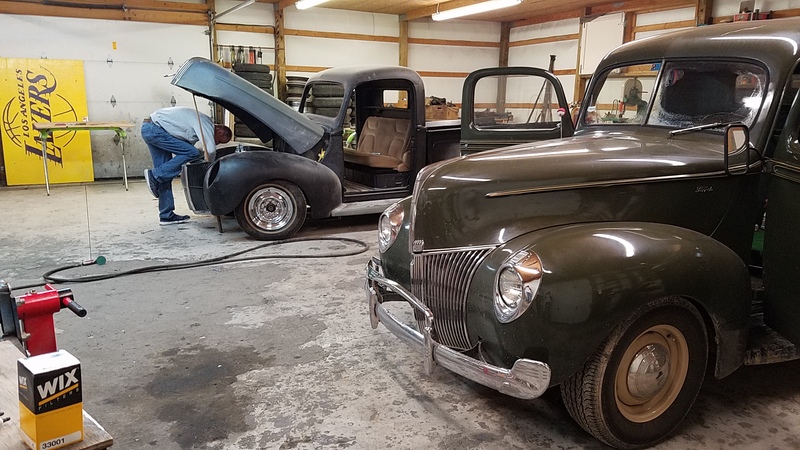 While the truck was in Doug’s shop, we pulled the seat out and set it in his ’40 pickup project, so he could take some measurements for his steering column drop. The plan is to use a ’41 passenger column, with the column shifter. 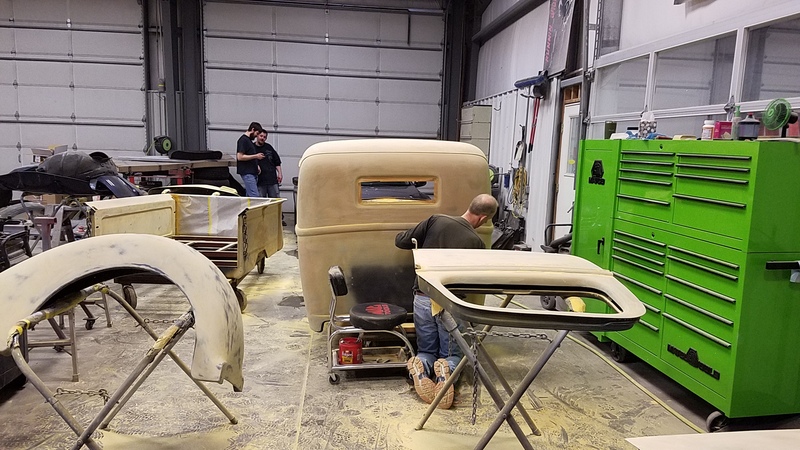 Since then, Doug’s truck body has gone to Kivett’s Body Shop, for final prep and paint. They are hoping to shoot color next week. This past weekend, I had originally planned on taking the coupe up to B.A.D. 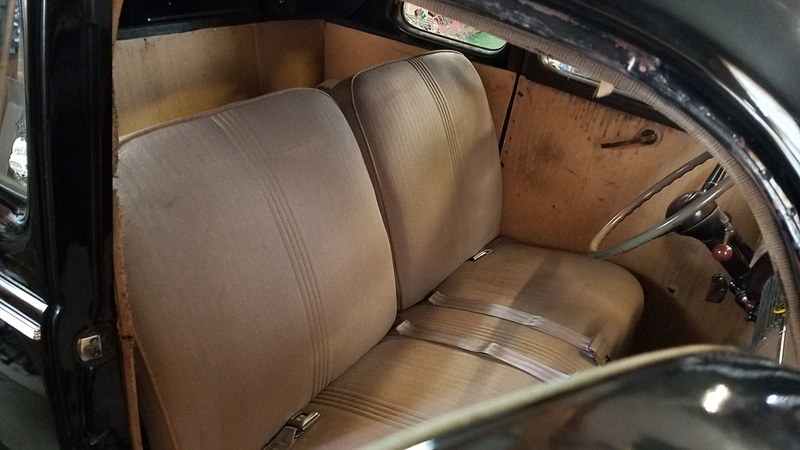 Upholstery, but Bob said that they needed to push me out a few weeks, so the coupe went to the KOZL MAN SHOW. Back in 1995, I had thrown a Mexican blanket over the front seat, and the car had never been seen in public without it. I pulled the blanket out for it’s trip to the MAN SHOW. 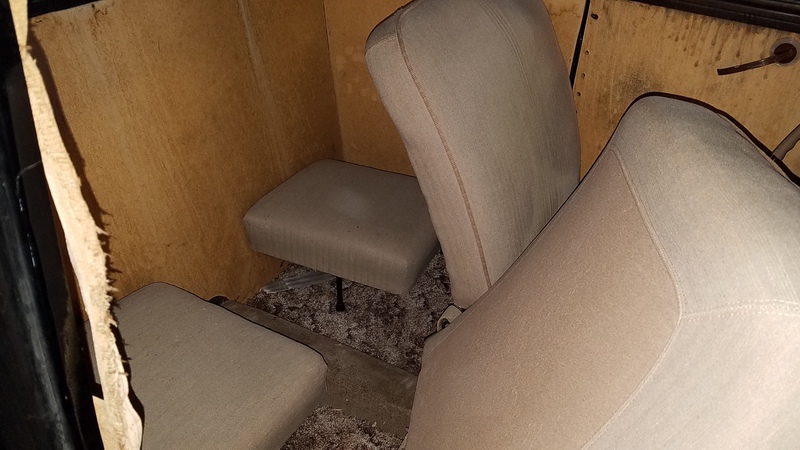 In 1999, I had planned on doing the upholstery, but got sidetracked, so I threw in some “temporary” Masonite panels. I’ll be happy to see those replaced with the new ones. That’s all I got in this update. 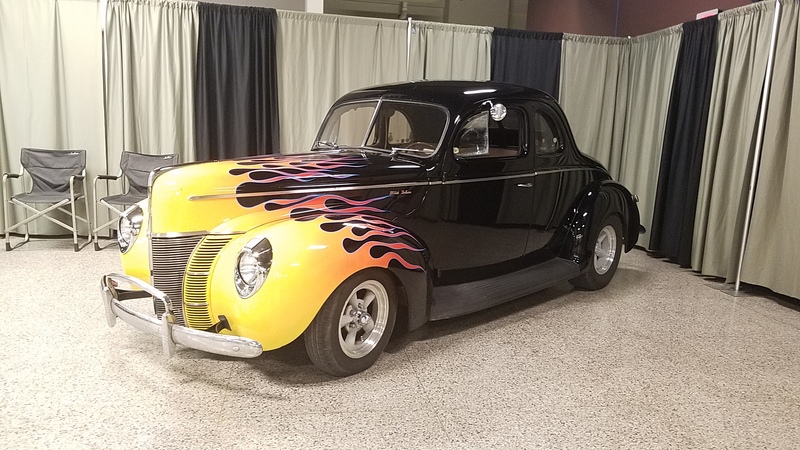 The next two weeks will be preparing and hosting the 5th Annual SWMO Hot Rod Hundred Reliability Run and hopefully taking the coupe to the St Louis area for it’s long awaited upholstery.